Our friend Tim has a position at Oxford University in the Said Business School and he graciously agreed to let us leave our winter clothes at his apartment. Now we have to plan a trip for next summer to come retrieve the clothes we’ve left all over Europe! 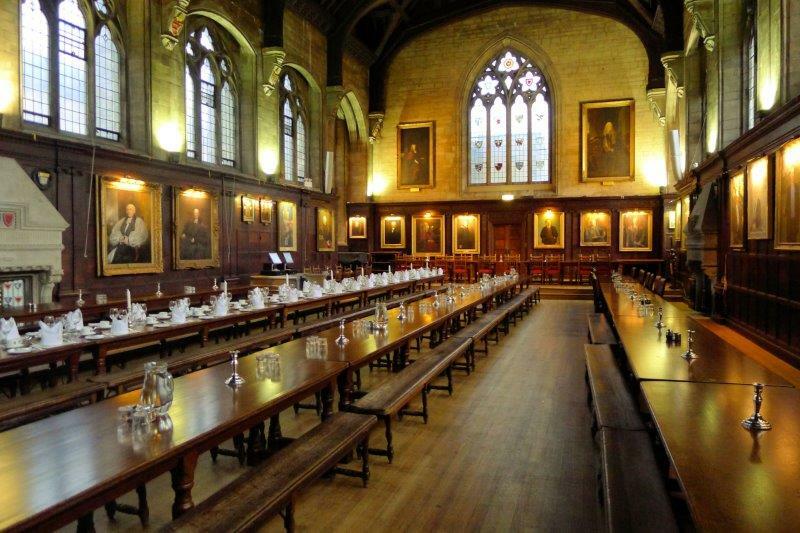 This Oxford Dining Hall as used in the Harry Potter movie. If you’re a Harry Potter fan, you can take some tours of the various locations. We’re in the Divinity School here. A hospital scene and a ballroom scene from Harry Potter were filmed here. 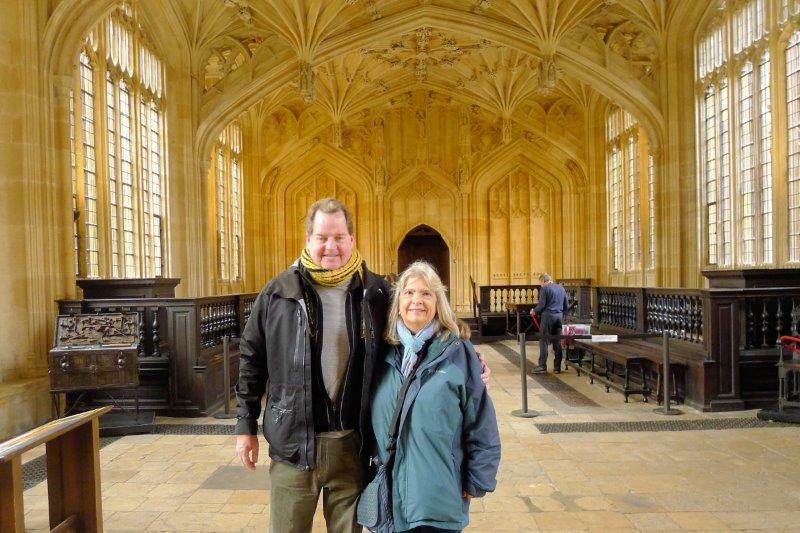 We spent the weekend in Oxford and Tim showed us around the University. 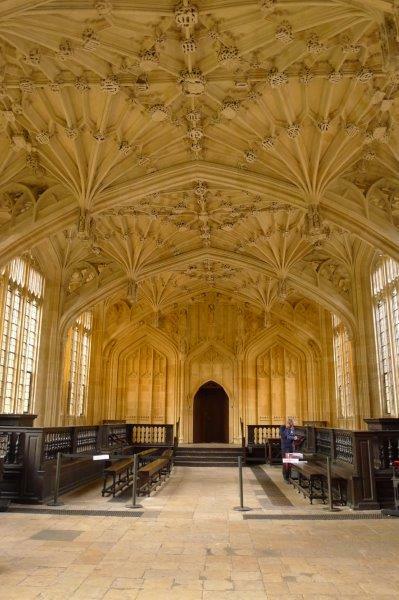 He can take guests into many places that usually cost (Oxford has figured out they can generate income by charging people to see the various colleges and chapels.) so we visited the Library with books from the 1600’s. The library smells like old books. How do you split a pizza in half – along the Equator or down the International Dateline? 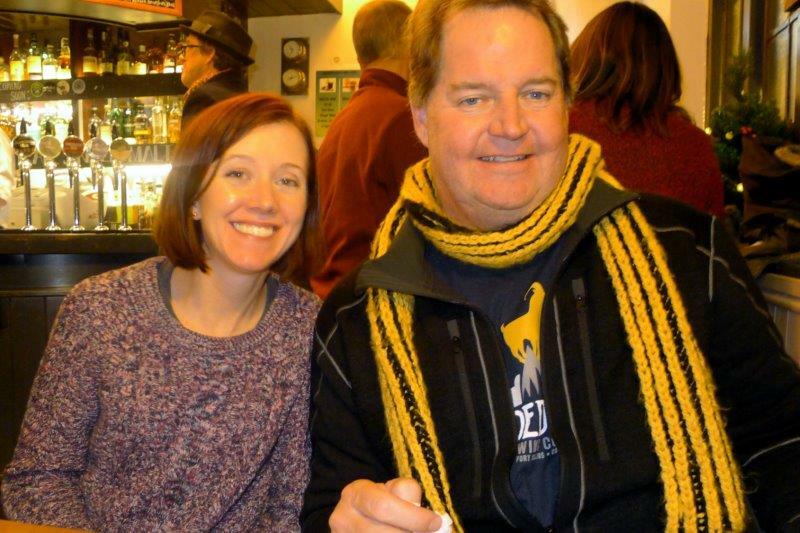 We were in Cambridge, England, visiting Darcy (Mark’s cousin) and her husband, Kelly. They took us to a lovely musical program at the Round Church in Cambridge after which we had a beer at the Student Union (Discount with the music program secret code), followed by pizza and beer at a local pub. We found this sign in the Student Union. Kelly and Darcy shared a pizza and couldn’t agree on which half of the pizza belonged to whom. Kelly says pizzas are split across the middle. Each person takes the half closest to that person – north or south of the equator. Darcy insisted pizzas are split from top to bottom. Each person takes the left or right side of the pizza. After a long debate with all four of us involved, no settlement was reached but the pizza somehow disappeared. How do you split a pizza? Of course, if the pizza has different ingredients on the two sides, this isn’t an issue! 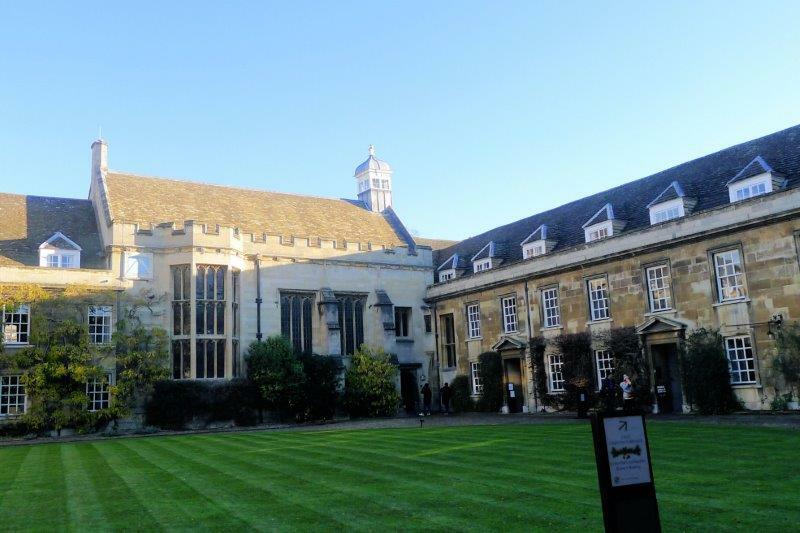 This is the First Court at Christ’s College at Cambridge University in Cambridge. During breaks, they rent out student rooms to visitors. It was not expensive and is right in the middle of Cambridge. The room was pretty good considering that the building was built around 1640. We had breakfast in the Upper Room which is the cafeteria for the college’s students. It’s wood paneled and had pictures of famous grads, such as Darwin and John Milton. “Ugly sweaters” seem very popular in England. 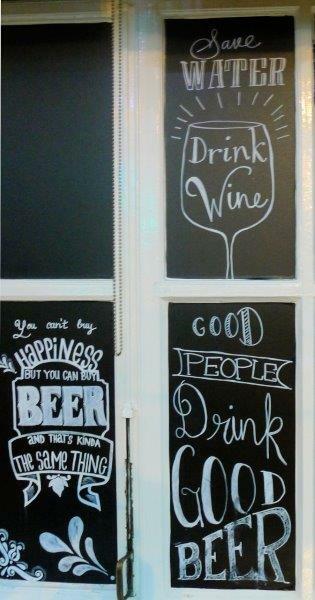 We saw them all over the place – hotels, stores, bars, Starbucks, Tesco. 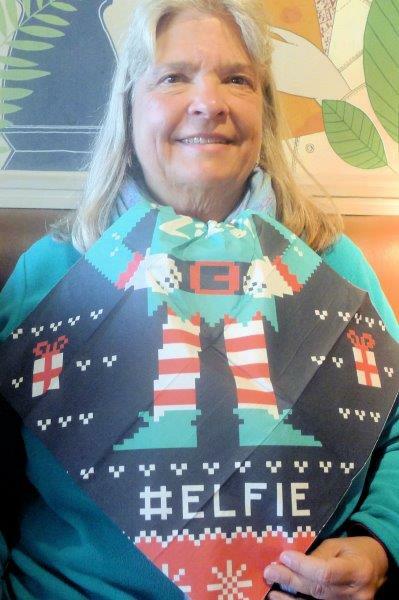 Our lunch restaurant had ugly sweater napkins just in case you didn’t have your own sweater.